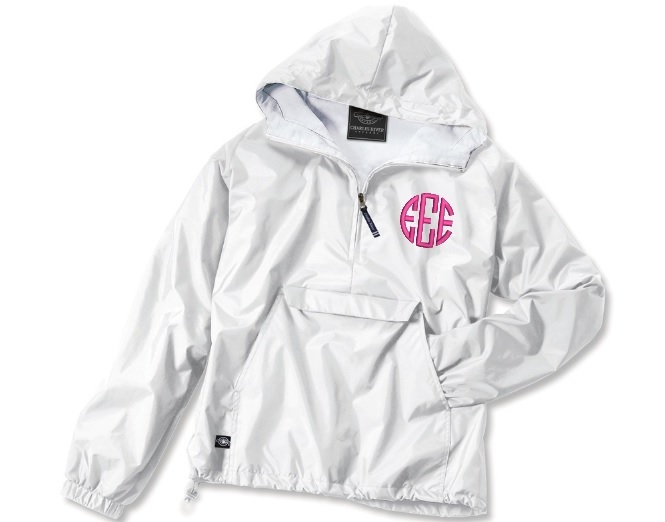 Monogrammed Rain jackets help you enjoy a rainy day! 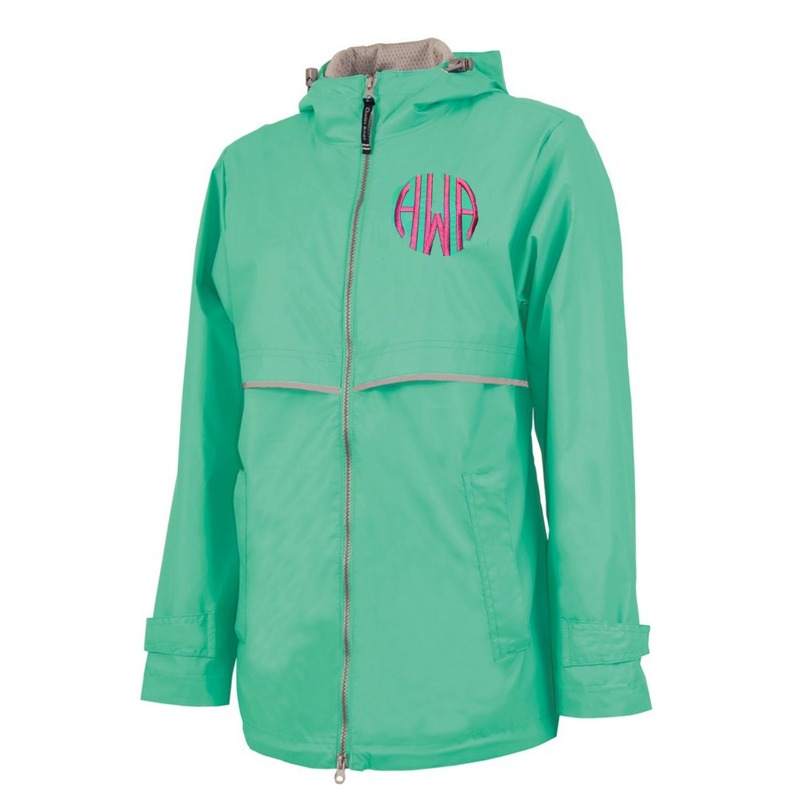 These custom, personalized raincoats from Charles River are either full zip or pullover style. 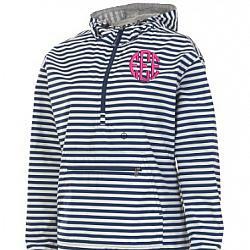 Add a monogram to any of our women’s, kids, or plus size jackets for free. Cute, preppy and embroidered! 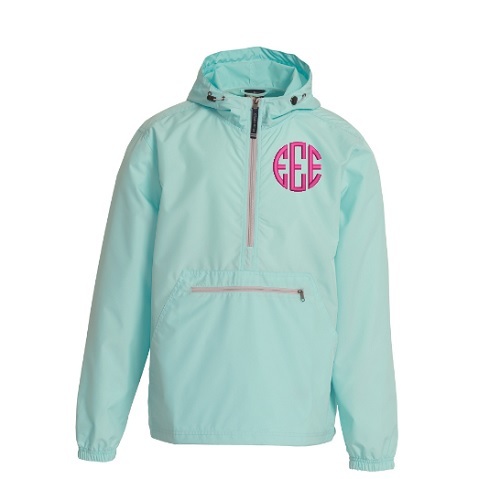 What more could you want in rain gear!